A HUGE thank you to those who have used our "buy us a beer" button! Our first few months in French Polynesia aren't "as bad" as we were anticipating. However we provisioned huge in Mexico before setting sail across the Pacific which helped. French Polynesia requires health insurance for the duration of your stay when sailing in. We went with a Patriot plan. We opted for a $2500 USD per person deductible and for our family it runs about $108 per month. We also signed up with the Pacific Puddle Jump and used their agent which cost around $263 USD. We easily recovered the investment of using an agent with the duty free fuel certificate they provided. Diesel in Tahiti was .70¢ per liter! Each month we post our Cost to Cruise! Interested in previous months costs? 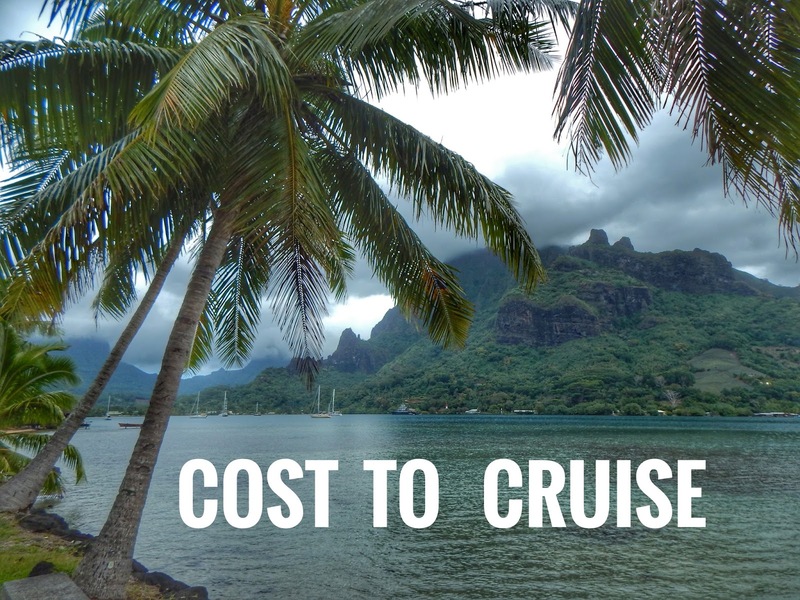 Go to our Cost to Cruise tab. Good info thanks. What are your communications costs? Satellite? Internet? Phone? We use our Delorme (cost posted) and SSB to communicate while underway or in places without WiFi. We are successful at hunting down free Wifi and there are no Phone costs as we use Skype.